BackstopJS – BackstopJS automates visual regression testing of your responsive web UI by comparing DOM screenshots over time. VisualReview – VisualReview, a human-friendly tool for testing and reviewing visual regressions. Gemini – Gemini is a utility for regression testing the visual appearance of web pages. LoadFocus is a cloud testing platform for Load Testing, Website Speed Testing, Mobile Testing, Automated Website Testing and Visual Regression Testing. Visual Regression Testing tool from LoadFocus allows to compare two version of your website in just seconds. Let’s say that you have two environments for your website, Staging and Production, and you want to make sure that any visual change you made on the Staging version is expected and now other changes/bugs are going to be introduced. With Visual Regression Testing tool you can create a test where you define the two versions of your website, with every webpage that you want to run the screenshot comparison test. Here are the steps how you can compare two versions of your website in seconds, have the test saved in LoadFocus Platform. Run the Visual Regression test in just seconds for all the defined webpages, also for faster access to results, you can use the Chrome Extension for Visual Regression Tests. Easily spot the differences by accessing the generated comparison image which is available from within the visual test. The Visual Regression test will fail if the differences between the two pages are higher than a set threshold (“tolerance” can be set from 0% to 90%). Hope you enjoyed this new visual regression testing service which will make your life easier and will give you more confidence when releasing new functionalities/features. To have an idea, how this service works, you can play with the free screenshot comparison tool. 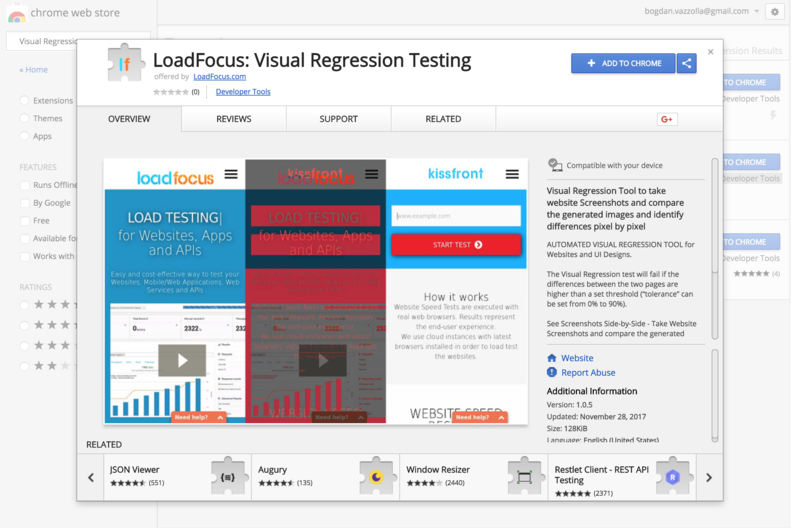 The Visual Regression Testing tool is part of LoadFocus and will be available for all plans, check our Pricing and Plans. screenshot test application for responsive websites and web-applications. The Screenshot Comparison tool uses a headless browser to create screenshots of webpages on different environments and then creates a diff of the two images with the affected areas are highlighted in red. 3. Output a diff PNG file comparing the two images with the number of pixels that have changed. 4. If any screenshot’s diff is above the threshold you specified, the test Passes. 5. The failed screenshot will also be highlighted in the list. 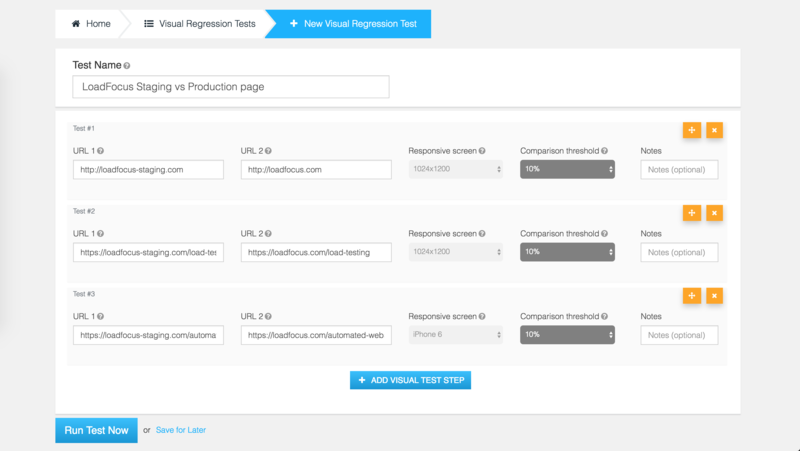 Create more tests and define more URLs per test with Visual Regression Testing Tool. LoadFocus.com: Free Screenshot Comparison tool is useful to test responsive layouts since it’s very hard and time consuming to test all of a project’s screen elements at every breakpoint. Visual regression allows you to make comparisons based on (pixel differences) between the baseline versions of the site and the version in development (comparing staging vs. production environments). Run a website speed test now to check how fast is your website and find potential improvements. 1 minute readLoad testing should be an easy, on going task that your team should focus in terms of constantly improving the quality of your application. 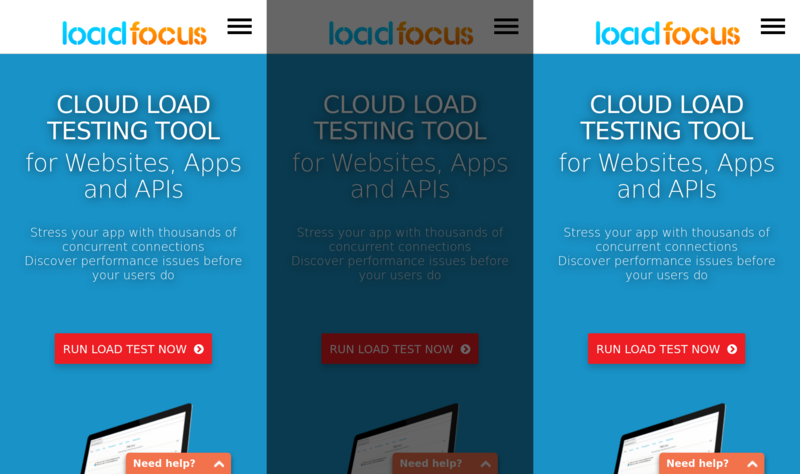 LoadFocus is an easy to use, in browser, cloud load testing application which allows to simulate load tests from the browser to your application with up to 600k connections per test. This should give you an overall idea of how your application behaves in terms of high load. Make your you start your load test with a lower number of clients and check the live results, in order to find potential bottlenecks of the website, API or any web service you are trying to debug. Increase the load gradually, to understand where the errors start to appear, and the time metrics increase more than expected. At the beginning of your test, you should understand which is the current load on your website and run load test much above your current average, just to be able to handle unexpected load on your application. Load tests are easy to run using LoadFocus.com, an online cloud testing platform, that runs from your browser. No coding or configuration needed. 1 minute readWith WebTechResources.com you can discover and share new resources, tech tools, products every day. You can find the best tools in every category sorted by number of views, votes, comments. Compare your favourite tech resources with other resources in the same category, and find the best tool for your company. WebTechResources.com – Find best tech resources everyday, sorted by people like you, ready to select and use. 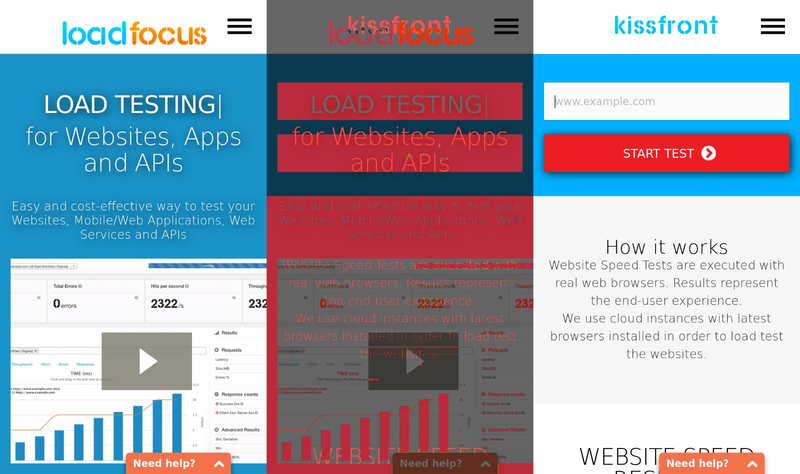 Note: More than 2,000 companies test their Websites and APIs with LoadFocus. Join today.